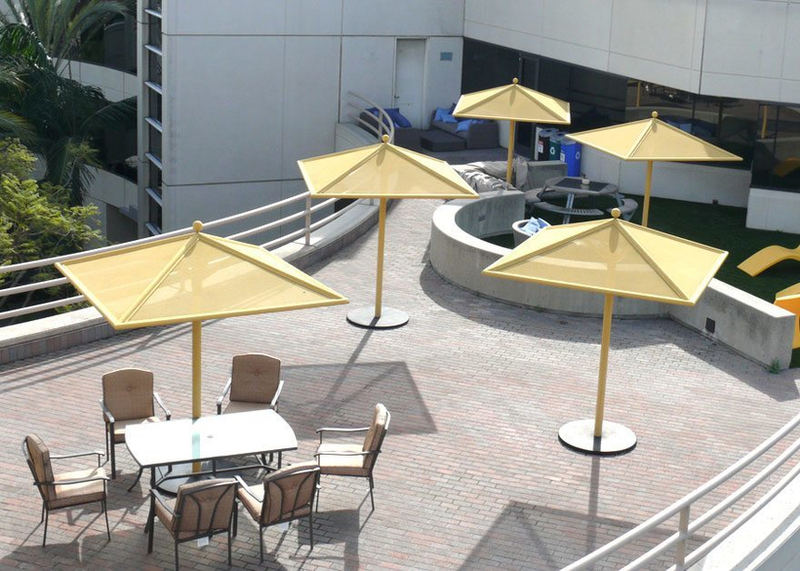 Our signature umbrella, with perforated aluminum canopy and steel tube post, offers the perfect combination of shade and durability. 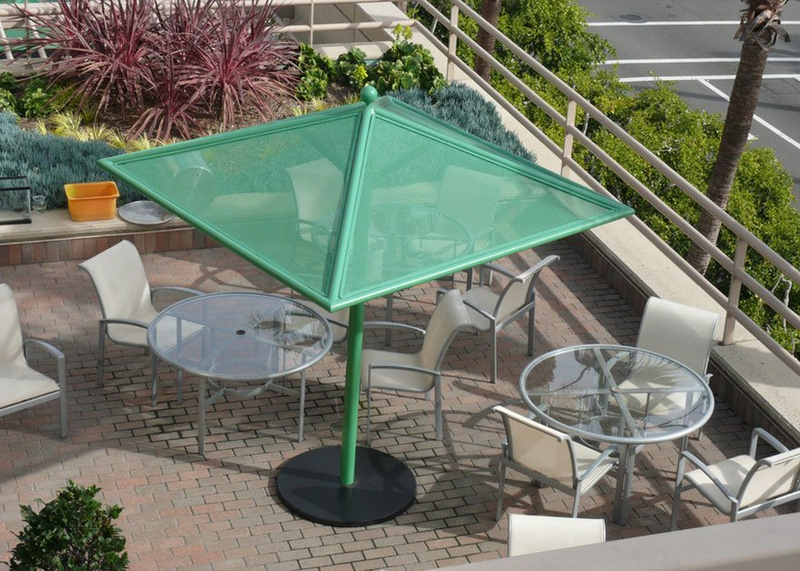 Great for patios, terraces, and outdoor gathering spots. 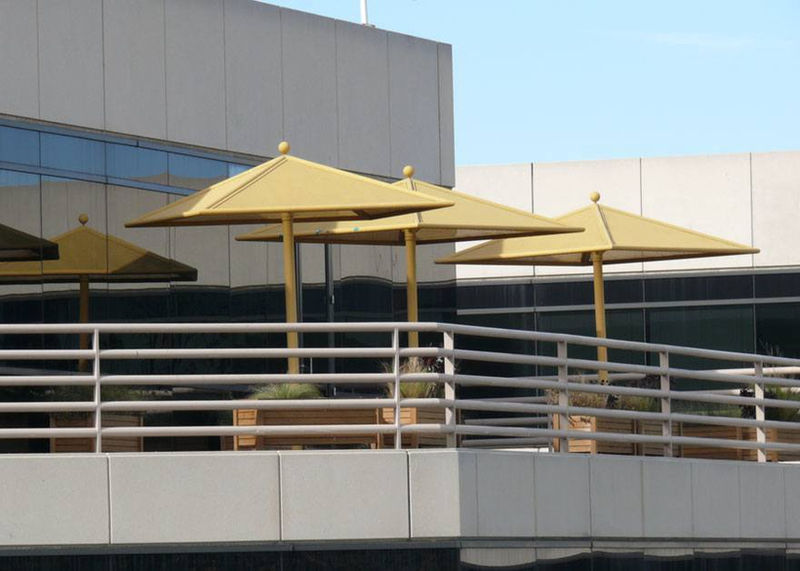 Each umbrella is custom fabricated in canopy sizes ranging from 6' to 12' square. 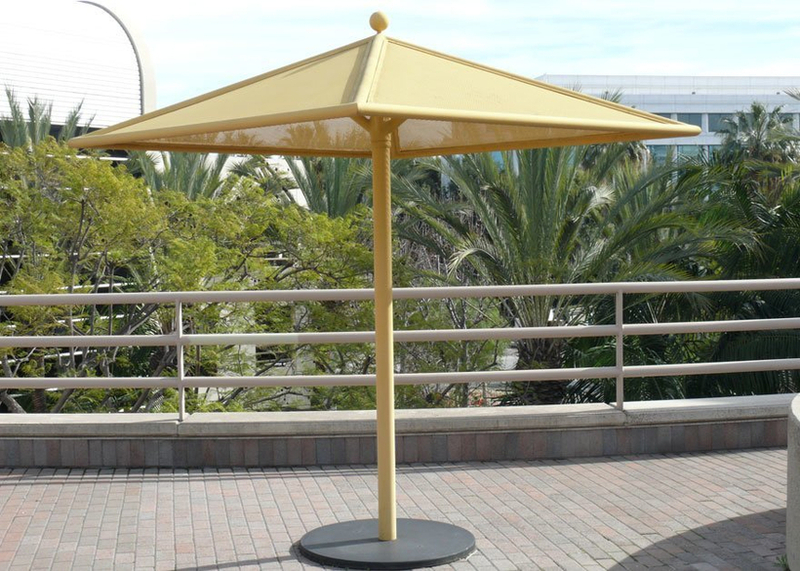 Umbrellas can be embedded in concrete, or mounted into a freestanding steel base plate. 6' Sq. | 8' Sq. | 10' Sq. | 12' Sq. Contact us for a drawing.